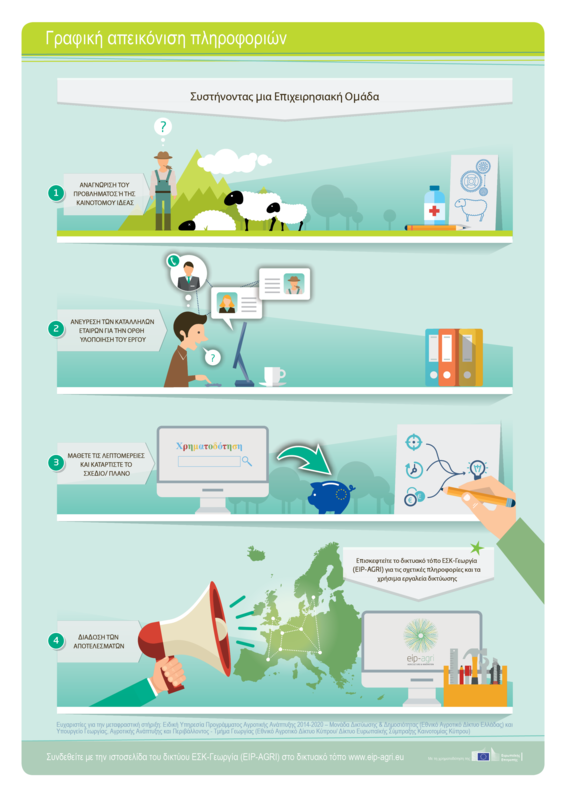 Innovation is essential for a competitive and sustainable European farming and forestry sector. EIP-AGRI Operational Groups (OGs) are groups of people who work together in an innovation project funded by Rural Development Programmes (RDPs). Operational Groups are the EIP-AGRI's main tool for turning innovative ideas into real solutions for the field. To set up and implement a successful Operational Group, it takes a good innovative idea, the right partners, a solid plan and effective ways of spreading results. The new EIP-AGRI brochure on Operational Groups gives an update on the information and support that is available, with examples from OG projects that have already started. Czech translation courtesy of the Ministry of Agriculture of the Czech Republic; Hungarian translation courtesy of Földművelésügyi Minisztérium (Ministry of Agriculture of Hungary); Latvian translation courtesy of the Latvian Rural Network Unit; Romanian translation courtesy of the Romanian NRN; Slovak translation courtesy of NRN Slovakia; Spanish translation courtesy of RRN (Red Rural Nacional). Slovenian translation courtesy of the Division of the Secretariat-General of the Government of the Republic of Slovenia.